In a move to deliver a direct customer experience, Atlantis WeatherGear, retailer of apparel for sailing and the coastal lifestyle, teamed up with Cloudveil to open their new “A&C” concept store at 140 Washington St. in historic downtown Marblehead, Mass. The name “A&C” is rooted in the store’s theme, which combines two American outdoor apparel brands, Atlantis and Cloudveil, the first inspired by the coastal lifestyle and the latter a mountain-inspired brand born in Jackson Hole, Wyo. The complementary nature of these brands will provide the latest in technical outdoor apparel to customers year-round. Both brands are now headquartered in Marblehead, and the new concept store is expected to have strong appeal for north shore residents who spend their summers on the water and their winters in the mountains. The Atlantis 2011 product line can be seen at www.atlantisweathergear.com. The Cloudveil fall/winter 2011 line can be seen at www.cloudveil.com. 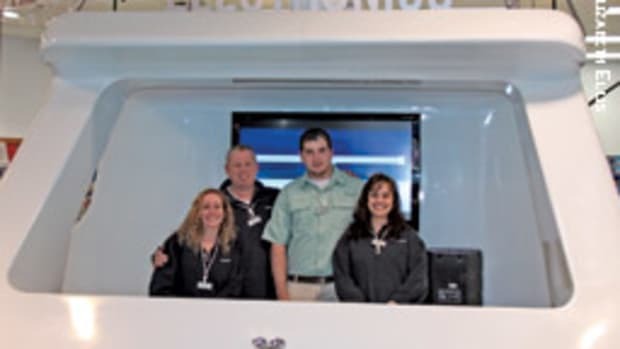 West Marine opens flagship store in N.J.